Possible games to be played at the Couples' Game Night on Friday, November 1st. We will obviously not be able to play all of these games. But I'll be selecting our games from this list. If you have a chance to take a look, and see any games that you're particularly interested in learning, please let me know. Feel free to comment here on the list, or contact me via Facebook or email. Looking forward to it. Along with Lost Cities, the next game on this list, Balloon Cup is an old favorite. Players compete in a series of balloon races, or "hops," by playing cards to each race. The number and color of the cards required for each race is predetermined. For high-altitude races, players win by having the highest total value of played cards. For low-altitude races, the lowest sum wins. Win enough hops, and collect a trophy. Be the first to win 3 trophies, and you win the game! 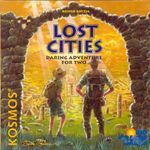 In this great little card game you are an explorer searching for numerous lost cities. While the images on the cards support this theme well, once the game starts, it's really about playing cards in the right sequence. A player is often forced to hold on to unwanted cards because discarded cards become immediately available to his opponent. It's a game of timing, and calculating risk. Quick-playing card game of buying/selling various goods (silver, silk, spices, etc.) at market. Plus it has a camel token! 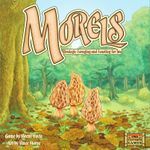 We picked this fun little card game up at BGG CON last year after having it demoed at the publisher's booth. 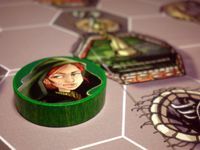 Over several rounds, players attempt to have their amorous notes delivered to the beautiful princess, or to the official closest to her. The player who manages to do this receives a 'token of affection'. The first to receive 3 such tokens wins the game. There is a good deal of luck involved, as well as player elimination. But the theme is so cute, and the rounds go by so quickly that it hardly matters. Quick and fun, this game will get a lot of play in our home. Some of the folks participating in this event have played Catan before. 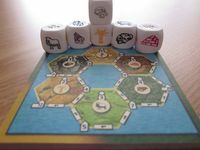 This quick-playing, Catan-themed dice game may appeal to them, while also being simple enough to not intimidate the first-time gamers in the group. It's funny to think that this might serve as a gateway to what has been called the ultimate gateway boardgame. 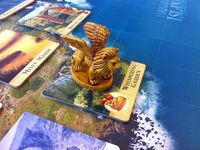 As with many of the other games on this list, I also enjoy playing the online implementation of this great little dice game. 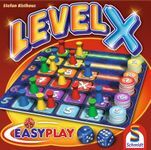 The whole Easy Play Line of games is great. But this one may be my favorite for 2 players. I only recently discovered this game by watching the "run through" video from the wonderful reviewer, rahdo. I couldn't believe that I'd never heard of it before. 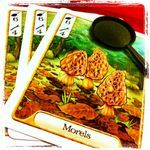 It looks exactly like the kind of game my wife and I would love to play together over a pot of hot tea. It's coming in the mail tomorrow It came in the mail today, just in time for the game night! It's hard to imagine having a game night designed to introduce couples to excellent 2-player games without including this classic. 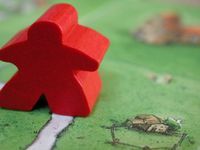 These days, many gamers have Carcassonne burnout. Still, no game collection would be complete without the base game, and a favorite expansion of two. 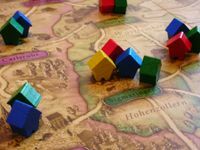 As with Carcassonne, the numerous expansions for this game have soured some geeks on the Alhambra line of games. 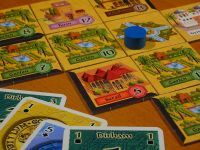 However, the base game is another classic that is easy to teach, always fun, and seems to make its way to our table year after year. 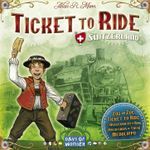 Ticket to Ride is a fantastic game for introducing new gamers to the hobby. 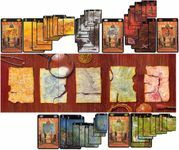 Players develop railroad networks, connecting various cities in an effort to meet travelers' demands and earn big points. 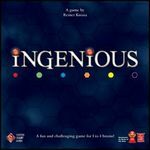 This 2-3 player version of the game adds a slight twist, and will be perfect for our couples' game night. Maybe the game my wife and I are most likely to pull off the shelf when we have 30 minutes or so in the evenings after the boys are in bed. It plays quickly, but is filled with difficult choices from the opening round. The simple twist of keeping only one card from each collected set to combine with the cards kept from other collected sets, creating one final 5-card scoring set is fantastic. We love it. 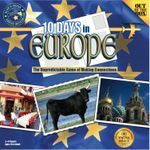 We love all the games in the 10 Days In… series. And each different version introduces enough of a twist to set it apart. These games are unique, like nothing else in our collection. I don't know if this one will make the list of games we play that night. If not, I'll be sad about leaving it off. I'm not a big fan of abstract games. And I can't figure out why I enjoy this particular one so much. But I do. Maybe it's the tension created between the need to diversify, and the lure of advancing a single color far enough to earn a bonus turn. 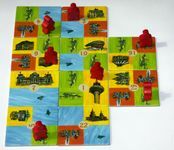 But more likely, it's just how attractive the board looks, and the feel of those cool tiles. Yes, I am that shallow. I would so love to introduce our friends to this game, many of whom will never have played a co-op. It will likely be the only "C" difficulty game I try to teach at the game night. Of course, my hope would be to get them hooked, then invite them back for an evening of Pandemic awesomeness. While this is certainly not a difficult game to teach, it will be the biggest stretch of the evening for some of the folks involved. I'm concerned about overwhelming some of them. But I doubt I'll be able to resist. Ordered from Germany. But will not arrive in time. Determined to be too difficult for first-time gamers on a night when they will be learning several other games.